This is an outline of an article that was NOT accepted. It was to be a discussion on R.Shimshon Raphael Hirsch as a paradigm changer and what he can teach us about how to deal with the pressing challenges of or own age. Far from being a conservative figure, as he is now commonly prtrayed, R. Hirsch was a courageous and revolutionary thinker, from whom we, I believe, can learn much. I sumbitted it by invitation to a well-known Jewish journal, that apparently disagreed with the argument or deemed it not appropriate for its audience. So here I present the outline as it is. If anyone knows a pbulication that will be willing to consider such an article for publication, plese let me know. 1.RSRSH left a rich legacy, contributing in many fields of Torah learning. He also presented a way of life, a philosophy and an ideology, “Torah IM Derech Eretz”. This approach (describe approach) sparked debate from the very beginning. 2.Many, including those who claim to wear R. Hirsch’s mantle, contend that TIDE is “a horaas shaa”, that it has limited relevance and no application in our current circumstances. This essay will examine this premise and contend that while much of R. Hirsch’s specific solutions to the problems of his age are no longer directly relevant, we remain indebted to him for his methodology and his vision..
a. It was not that “niskatnu hadoros”, it was rather than Judaism no longer spoke to the new paradigm of the emerging modern age - values of universalism, progress, scientific positivism (define) and rejection of the religious mores. e. Expanded explanation of how translation from culture to culture differs from reinterpretation: old wine in new vessels, vs. new wine in old vessels. f. Why translation is acceptable to a Torah Jew while reinterpretation is not. a.Expression is not in ideas or words but in image, feeling, music, song. The inarticulate test-messaging generation, who, however, know exactly what they means to say – but their parents and grandparents do not understand them. 2.Adults who are ”Kalte Yidden”, adult children at risk – The new generation is losing the ability to understand the old paradigm. a. It is losing relevance faster than the “yeshiva velt” because its content is even more 19th century culture specific. a. The content of R. Hirsch’s TIDE is no longer relevant (except in its specific Torah material); however, the example of R. Hirsch’s undertaking is valid as “moreh derech”. 2.Absolute fidelity to Torah truth, eschewing re-interpretation - choose teh path of trans-cultural translation instead. 3.Looking around us to understand this age and what others are doing to translate Judaism into the new cultural paradigm, much as he did at this time. a. Objection: This is low culture; is low culture compatible with Torah at all? c. The evolving trans-cultural experiments of ecstatic hassidic groups, Carlebach and others should be closely examined, not as deviations form the “standard” masorah but as attempts to reformulate Judaism in the language that speaks to all Jews, and even to all of humanity. Where is R. Hirsch when we need him? We need the emergence of a person who possesses the manifold talents of R. Hirsch: clear vision, boundless idealism and enthusiasm, deep Torah knowledge, ability to present Judaism as relevant and inspiring in the new age, talented publicist and polemicist, an inspirational figure. In the long hidden testament of R. Nachman of Breslav it says that Moshciach will sway the entire world to follow him through music. Music stands for the post-modern sensibility described above. The light of the Torah is waiting for a new expression that will be intelligible and move the hearts of our lost brothers and children who no longer speak the old language and be redemptive for all of humanity. It was his father, a disciple of both Rabbis Samson Raphael Hirsch and Ezriel Hildesheimer... who taught him to be tolerant, and to respect even the opponents of our traditional ideology. He impressed upon his son that while one may challenge alien ideas one should never attack the person advocating them. Salomon Carlebach frequently quoted the words of his master, Rabbi Samson Raphael Hirsch, as set down in the seventeenth of the "Nineteen Letters..": Be angry at none, respect all. Deplore the attitude of the opponent, grieve over apostasy, and combat his erroneous opinions with all the spiritual weaponry of our great and exalted literature. But guard yourself against any personal animosity; for it is mostly not only the opponent, but all the past before him who bear the burden of guilt"
When Joseph reminded his father than Hirsch himself did not deal too gently with his ideological adversaries, Salomon Carlebach replied, "I shall pay you one thousand marks on the spot if you can show me one word of personal animosity in any of Hirsch's writings"
"I have labored for years and years", Joseph wrote some time after (Judische Press 1907) and have not yet been able to obtain that prize." And Abraham was old, and came into years: and Hashem blessed Abraham in all things (Gen 24:1). All things - includes all age, for old age is a blessing. Klei Yakor pioints out that for spiritually minded, old age with its attentuation of bodily drives and weakening of desires is a blessed time, a period of life when spirituality comes easier and there are fewer distractions. This is the difference between Abraham and the nations. I recall a conversation years ago with elderly client who was complaining about the infirmities of old age. "But aren't you much wiser and more accomplished now? ", I naively inquired. "I myself would not want to return back to those young and foolish years, with their ups and downs, their impetousness and emotionality, the needless suffering for reasons that were not real". He looked at me without comprehension. Those were the best years of my life", he said "Wine, women and song! (he did not use exactly those words but something much cruder)". Hashem blessed Avroham in all things, including his old age. Here on the originally Quaker term Eldering and how it was co-opted by the Jewish Renewal Movement. More on religion and the arts. "This place is very unique," says Rabbi Benny Perl, the school's principal and founder. "It's the first time a yeshiva has reached out to connect religious studies with art studies. Our focus is not only to make Jewish music and art, but for our talented students to graduate with a strong Jewish identity and art and music education. We want to open the world to these students and widen their horizons," Perl says. The school's detractors fear the arts will tempt the students into adopting a secular lifestyle. Perl realizes that its location in the heart of Tel Aviv does little to assuage such fears. But he's quick to add that not everyone in the Orthodox community objects to his arts school. "Israelis rarely agree on anything," he says with an easy smile. "While some rabbis don't approve of my school, others think it is wonderful. "The religious culture is a closed culture," he continues. "But religion can be very interesting when we open it up and incorporate art and music. It's dangerous and a mistake to close doors. Closing doors doesn't protect young people." The Jerusalem Jewish Film Festival has rejected a film created by Orthodox women after the film director demanded screening for female audiences only in accordance with Halacha. The film, "A Light For Greytowers," directed by Robin Garbose , was initially accepted by the festival on the basis of its artistic merits. The film was slated to be screened during the festival, which takes place between December 13 and 19 at the Jerusalem Cinematheque. However, the festival's management refused to acquiesce to Garbose's demand, made at the time the film was first presented for consideration, that screening would be billed as "by women, for women." "We tried to explain that our festival doesn't discriminate on the basis of race, religion, nationality or gender," said Aryeh Barak, spokesman for the Jerusalem Cinematheque. "Accepting the director's terms would mean discrimination against half of our audience on the basis of gender." Garbose said the other option mentioned by Barak, of having separate screenings for men and women, had never been offered to her. She said that she had looked at the options offered by the festival from a halachic perspective and found that they were unacceptable. "I wanted to find a middle ground because everyone wanted the film to be screened," said Garbose, a Hollywood director who was forced to make changes in her career after she embraced an Orthodox lifestyle almost two decades ago and could no longer work on Shabbat. "But they wanted me to go against Halacha and I couldn't do that," she said. After leaving Hollywood, Garbose founded Kol Neshama, a performing arts academy in Los Angeles for Orthodox girls. "A Light For Greywaters" was born of her work there. Based on a popular Jewish novel, the movie tells the Victorian-era saga of a Russian Jewish girl separated from her family and sent to an orphanage, where the cruel matron tries to keep her from celebrating her religious traditions. The Atlanta Jewish Film Festival agreed to market "A Light For Greytowers" in its 2009 festival as a "by women, for women film experience." "After billing the screening as women only, if a man insists on attending no one can stop him and we are not responsible. The onus is on him to adhere or not," Garbose said. "But we cannot allow the film to be marketed to men. That would be a breach of Halacha." In a letter to the managers of the Jerusalem Jewish Film Festival, Garbose wrote that they were not living up to their claim to "explore the many and varied issues surrounding the question of Jewish identity, history, culture and religious practice." "You have deemed that Jewish art that comes from the religious community is acceptable only if it conforms to non-religious standards," she wrote. "This conformity would serve only to negate its truth as art, thereby prohibiting the possibility of there ever being any truly frum [Jewish religious] art. "The spiritual concept of Kol Isha [men's prohibition against hearing a woman's singing voice] has existed since the giving of Torah. I do not judge you by your choice not to honor this practice," she wrote. "I am simply asking you to respect the many Jews who do and welcome them at your festival. After all, we're talking about films here, not war or politics, art as a forum for understanding and dialogue." Comment: I notice that the cinematography is gradually penetrating into Orthodox life, adjusting to and conforming to our unique halachic and cultural requirements. From Agent Emes to Ushpizim (and many other fine films), the effort in on to transform the powerful media of videography into a tool for expressing Jewish religious sensibility. This warrants an extended post. In the meantime, here is a story on a Film School under Jewish religious auspices. 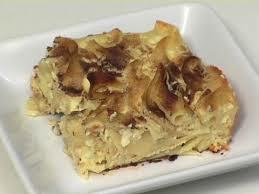 Moprtiz Oppenheim is usually known for his sugary sweet protrayla of Jewish-German life two centuries ago. He was considered especially skilled in protraying groups. But there is another side to him, as a painter on Biblical themes, which is full of imagination, power and Jewish sensibility. Here is a Jewish Moses, executed along the traditional Biblical Art lines but clearly a Jewish Moses. Moses with the Law, by Moritz Oppenheim, 1818. S. Wiener Family, London. The numerical value of the letter Vav is 6. We will now address the 6 barleys that Boaz gave to Ruth and their significance.The background to this is that Ruth was a "daughter of Lot", who both repaired the sin of Lot's daughter and brought Lot back into the Jewish nation via David, the King of Israel, her descendent. Rith, 3:6…and he measured six measures of barley, and laid it on her; and he went into the city. The six barleys are mystifying and it is tempting to see them as symbols. “If you say actually six grains of barley, is it the way of Boaz to give just six grains? Perhaps it is six seah of barley? Is it possible for a woman to carry six seah of barley? It must be that (it is a symbolic act), hinting that she will produce six sons who are blessed with six blessings and they are: David, the Messiah, Daniel, Chananiah, Mishael and Azariah (Sanhedrin 93a). On a simpler level of interpretation, it may refer to some smaller and unspecified measure of grain; in fact the words ‘barley’- s’orim’ can also be vocalized as ‘measures – shearim’, a usage known to us from Genesis 26:12 ( this interpretation is marred by its inconsistency with the Masoretic vocalization). Alternatively it may actually refer to six seah which Boaz carried almost all of the way until he came to the city and only then transferred them to Ruth. An early morning riser who sees them would assume that Ruth went extra early to the granary to bring her accumulated gleanings home and that Boaz met her by chance and was simply and gallantly nassisting her with her load. There is one more thought that deserves expression. When the Jews first saw the Manna, a man said to his brother, “Man Hu”. In Hebrew it means – “it is a prepared portion”; however in the cognate language Arameic it is a question that means, “Who is he?”. This recalls Naomi’s question to Ruth. The Hassidic Master, Chozeh of Lublin explained it in the following fashion. Those who ate manna reached new and elevated levels every day, so much so that every day a man no longer recognized his fellow and asked, “Who is he?” (Sippurei Chassidim (Zevin), Beshalach). In a similar vein, after David slew Goliath Saul did not recognize him even though the two have met but a few chapters previously. Why was David not recognized? Because, before he was a simple page; now he possessed great stature. In the same vein R. Shimshon Raphael Hirsch writes in his commentary at the end of parshas Vyetsei that when Yakov left Beer Sheva and encountered the vision of the angels of Hashem, he marveled and was moved. Twenty years later, as he returned to the land of Israel , the verse states that the angels met him, for after twenty years of striving and growth, he has grown to such an extent that they marveled at him. I am sorry for the divisions within the chareidi camp. The situation is sad and violence is never acceptable. But... kugel?!
" The attack on MK Ya'acov Litzman on Saturday night by a group of Slonimer Hassidim shows that the anger with the Gur community over Nir Barkat's victory in the Jerusalem mayoral race has continued past election day. The embattled Litzman, a representative of the Gur Hassidim within the haredi United Torah Judaism Party, was allegedly cursed, pushed and kicked before being pelted with kugel shortly after arriving at a family celebration being held at a Slonimer-owned hall in Jerusalem's Mea She'arim neighborhood. Litzman is seen by supporters of unsuccessful mayoral hopeful Meir Porush (UTJ) as the ringleader of infighting within the haredi community, and more specifically anti-Porush sentiment within the Gur community that they say cost Porush the election last Tuesday. " " Regardless, after he was attacked Litzman expressed sorrow for the fact that "a wild bunch from a hassidic sect, which I have helped in the past and will continue to help, have behaved inappropriately." Litzman nevertheless praised the Slonimer rebbe. While the MK was expected to give police the names of the men who attacked him on Sunday, Jerusalem police told the Post that Litzman had yet to file an official complaint, and encouraged him to do so. The Slonimer rebbe told his disciples that he would not see any of them privately before an apology was made to Litzman."